There are two conflicting theories, nowadays, as to the origin of man. One theory brings him upward from the brute, the other, downward from God; one gives him an ascent from the ape, the other a descent from the Almighty. I shall waste no time in refuting the first theory. The most profound physicist of Europe, Professor Virchow, of Berlin, has lately asserted that this theory of man’s evolution from the brute has no solid scientific foundation. Why need you and I seek to disprove what no man has ever yet proved or will prove? The other theory of man’s origin comes down to us in the oldest book in existence, the Book of Job, and tallies exactly with the narrative in the next oldest books, those compiled by Moses: “The spirit of God hath made me, and the breath of the Almighty hath given me life.” That is the Bible account of your ancestry and mine. We make a great deal of ancestry. The son of a duke may become a duke; the child of a king has royal blood in his veins; and a vast deal of honor is supposed to descend with an honorable descent. Grant this true, it proves a great deal; it proves more than some of us imagine. It proves that there is something grander than for man to have for his sire a king or an emperor, a statesman or a conqueror, a poet or a philosopher. It looks to the grandest genealogy in the universe, the ancestry of a whole race; not a few favored individuals, but all humanity. My brethren, fellow sharers of immortality, open this family record. Trace your ancestry back to the most august parentage in the universe: One is our Father, God; One our elder brother, Jesus. We all draw lineage from the King of kings and the Lord of lords. Herein consists the value and dignity of human life. I go back to the origin of the globe. I find that for five days the creative hand of the Almighty is busy in fitting up an abode of palatial splendor. He adorns it; He hollows the seas for man’s highway, rears the mountains for his observatories, stores the mines for his magazines, pours the streams to give him drink, and fertilizes the fields to give him daily bread. The mansion is carpeted with verdure, illuminated with the greater light by day, lesser lights by night. Then God comes up to the grandest work of all. When the earth is to be fashioned and the ocean to be poured into its bed, God simply says, “Let them be,” and they are. When man is to be created, the Godhead seems to make a solemn pause, retires into the recesses of His own tranquillity, looks for a model, and finds it in Himself. “And God said, let us make man in our image, after our likeness.... So God created man in his own image, in the image of God created he him; male and female created he them.... So God breathed into man’s nostrils the breath of life and he became a living soul.” No longer a beautiful model, no longer a speechless statue, but vivified. Life, that subtle, mysterious thing that no physicist can define, whose lurking place in the body no medical eye hath yet found out—life came into the clay structure. He began to breathe, to walk, to think, to feel in the body the “nephesh”: the word in the Hebrew means, in the first place, the breath of life, then, finally, by that immortal essence called the soul. Now, it is not my intention to enter into any analysis of this expression, “the spirit,” but talk to you on life, its reach and its revenue, its preciousness and its power, its rewards and its retributions, life for this world and the far-reaching world beyond. Life is God’s gift; your trust and mine. We are the trustees of the Giver, unto whom at last we shall render account for every thought, word and deed in the body. The Scandinavians have a very impressive allegory of human life. They represent it as a tree, the “Igdrasil” or the tree of existence, whose roots grow deep down in the soil of mystery; the trunk reaches above the clouds; its branches spread out over the globe. At the foot of it sit the Past, the Present, and the Future, watering the roots. Its boughs, with their unleafing, spread out through all lands and all time; every leaf of the tree is a biography, every fiber a word, a thought or a deed; its boughs are the histories of nations; the rustle of it is the noise of human existence onward from of old; it grows amid the howling of the hurricane, it is the great tree of humanity. Now in that conception of the half savage Norsemen, we learn how they estimated the grandeur of human life. It is a transcendent, momentous thing, this living, bare living, thinking, feeling, deciding. It comes from God; He is its Author; it should rise toward God, its Giver, who is alone worthy of being served; that with God it may live forever. What is the purpose of life? Is it advancement? Is it promotion? Is it merely the pursuit of happiness? Man was created to be happy, but to be more—to be holy. 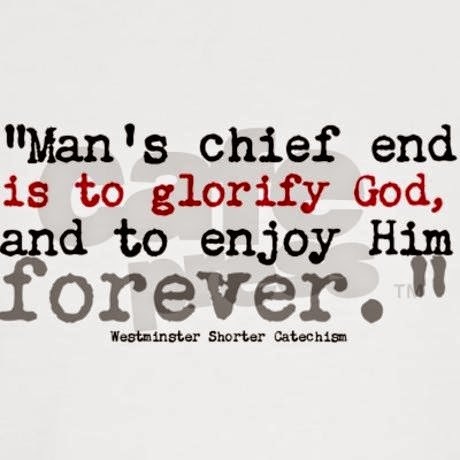 The wisdom of those Westminster fathers that gathered in the Jerusalem chamber, wrought it into the well-known phrase, “Man’s chief end is to glorify God and enjoy him forever.” That is the double aim of life: duty first, then happiness as the consequence; to bring in revenues of honor to God, to build up His kingdom, spread His truth; to bring this whole world of His and lay it subject at the feet of the Son of God. That is the highest end and aim of existence, and every one here that has risen up to that purpose of life lives. He does not merely vegetate, he does not exist as a higher type of animal: he lives a man’s life on earth, and when he dies he takes a man’s life up to mingle with the loftier life of paradise. The highest style of manhood and womanhood is to be attained by consecration to the Son of God. That is the only right way, my friends, to employ these powers which you have brought back to your homes from your sanctuary. That is the only idea of life which you are to take to-morrow into the toils and temptations of the week. That is the only idea of life that you are to carry unto God in your confessions and thanksgivings in the closet. That is the only idea of life on which you are to let the transcendent light of eternity fall. These powers, these gifts, the wealth earned, the influence imparted, all are to be laid at the feet of Him who gave His life for you. Life is real, momentous, clothed with an awful and an overwhelming responsibility to its possessor. Nay, I believe that life is the richest of boons, or the most intolerable of curses. I found myself lately studying with intense interest the biography of Baxter. For half a century that man gave himself to the service of Jesus with a perseverance and industry that shames such loiterers as you and I. Just think of a man that twice on every Lord’s day proclaimed the gospel of his Master with most elaborate care and unflinching diligence; on the first two days of the week spent seven hours each day in instructing children of the parish, not omitting a single one on account of poverty or obscurity; think of him as devoting one whole day of each week to care for their bodily welfare, devoting three days to study, during which he prepared one hundred and sixty instructive volumes saturated with the spirit of the word, among them that immortal “Saints’ Everlasting Rest,” that has guided so many a believer up to glory. The influence of one such life as that changed the whole aspect of the town of Kidderminster. When he came to it, it swarmed with ignorance, profligacy, Sabbath-breaking, vice; when he left it the whole community had become sober and industrious, and a large portion converted and godly. He says: “On the Lord’s Day evening you may hear hundreds of families in their doors singing psalms or reading the Bible, as you pass along the streets.” Sixteen hundred sat down at one time to his communion-table. Nearly every house became a house of prayer. Such was one life, the life of a man much of the time an invalid, crying out often unto God for deliverance from the most excruciating bodily pains. III. In the next place, life is infinitely valuable, not only from the dignity of its origin and the results and revenues it may reach, but from the eternal consequences flowing from it. Ah, this world, with its curtaining of light, its embroideries of the heavens, and its carpeting of verdure, is a solemn vestibule to eternity. My hearer, this world on which you exhibit your nature this morning is the porch of heaven or the gateway of hell. 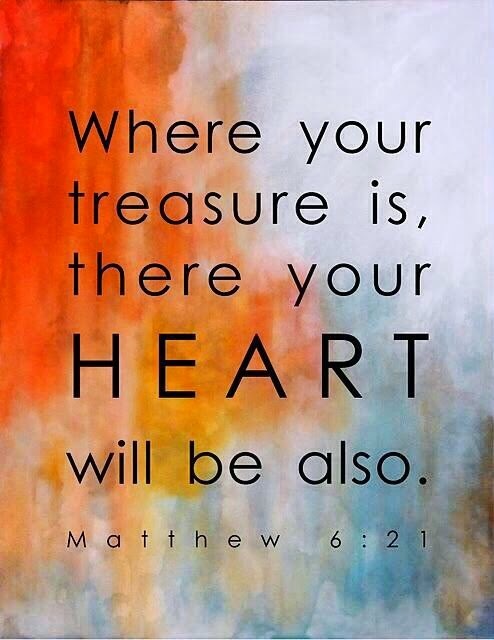 Here you may be laying up treasures through Christ and for Christ, to make you a millionaire to all eternity. Here, by simply refusing to hearken, by rejecting the cross, by grieving the Spirit, you may kindle a flame that shall consume and give birth to a worm of remorse that shall prey on your soul forever and ever. In this brief twenty years, thirty, or forty, you must, without mistake, settle a question, the decision of which shall lift you to the indescribable heights of rapture or plunge you to the depths of darkness and despair. I am a baby at the thought of the word “eternity”; I have racked this brain of mine, in its poverty and its weakness, and have not the faintest conception of it, any more than I have of the omnipresence of Jehovah; yet one is as real as the other, and you and I will go on in the continuation of an existence that outnumbers the years as the Atlantic drops outnumber the drops of a brook; an existence whose ages are more than the stars that twinkled last night in the firmament—an existence interminable, yet all swinging on the pivot of that life in that pew. It is overpowering. 1. The first practical thought is, how careful you and I ought to be to husband it. The neglect of life is a sin; it is an insult to God; it is tampering with the most precious trust He bestows. The care of life is a religious duty. A great deal of your happiness depends on it, and I can tell you, my Christian brother, a great deal of your spiritual growth and capacity for usefulness depends on the manner in which you treat this marvelous mechanism of the body. Your religious life is affected by the condition of the body in which the spirit tabernacles. It is not only lying lips, it is “the wilful dyspeptic, that is an abomination to the Lord.” Any one that recklessly impairs, imperils and weakens bodily powers by bad hours, unwholesome diet, poisonous stimulants or sensualities, is a suicide; and there are some men, I am afraid, in this congregation that yield themselves such unpitied bond-slaves to the claims of business, that they are shortening life by years and impairing its powers every day. Thousands of suicides are committed every year in Brooklyn by a defiance of the simplest laws of self-preservation and health. What shall we say of him who opens a haunt of temptation, sets out his snares and deliberately deals out death by the dram? So many pieces of silver for so many ounces of blood, and an immortal soul tossed into the balance! If I could let one ray of eternity shine into every dramshop, methinks I could frighten the poison seller back from making his living at the mouth of the pit. 2. Again, in this view of the value of life, what a stupendous crime wanton war becomes—offensive war, such war as multitudes have dashed into from the lust of conquest or the greed of gold. When war is to be welcomed, rather than a nation should commit suicide and the hopes of men perish, then with prayers and self-consecration may the patriot go out to the battle and the sacrifice; but offensive war is a monster of hell. With all our admiration for Napoleon’s brilliant and unsurpassed genius, there are passages in his life that make my blood sometimes tingle to the finger ends, and start the involuntary hiss at the very thought of such a gigantic butcher of his fellow creatures. If that man knew that a battery could be carried only at the cost of a legion of men, he never hesitated to order their sacrifice as lightly as he would the life of a gnat. I read that, after what is called his splendid victory of Austerlitz was over and the triumph was won and the iron crown of empire was fixt on his brow, as he stood on the high ground he saw a portion of the defeated Russians making a slow, painful retreat over a frozen lake. They were in his power; he rode up to a battery, and said, “Men you are losing time! fire on those masses; they must be swallowed up! fire on that ice!” The order was executed. Shells were thrown, and went crashing through the brittle bridge of ice, and amid awful shrieks hundreds upon hundreds of poor wretches were buried in the frozen waters of that lake. I believe the dying shrieks of his fellow creatures will haunt the eternity of a man who prostituted the most magnificent powers the Creator fashioned in this our century of time to the awful work of shortening life, tormenting his fellow creatures and sending a million unbidden before God. 3. Once more I emphasize upon you, my beloved people, life, its preciousness and power, its rewards and its retributions. And yet, what a vapor, what a flight of an arrow, what a tale that is told! Short, yet infinite in its reach and its retribution! When life is represented as an arrow flight and a vapor, it is not that it may be underrated in its infinite importance, but only that we may be pushed up to the right sense of its brevity. Everything in God’s world ennobles humanity and exhibits life as earnest, solemn, decisive, momentous. The highest ends are proposed to it while it exists, the most magnificent rewards are held out at the termination of its consecrated vitalities. At the end of it is the great white throne, and the decisions of the judgment. 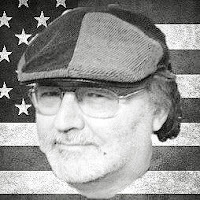 Some of you, turning from this discourse this morning, may say it was nothing but sacred poetry because your life is only the steady, monotonous round of a mill-horse—to-morrow across the ferry, home at night—through its routine in the shop, in the counting-room, in the family, on the Sabbath in church—and say, “I see nothing in my life that thus sparkles or shines or has this sublime characteristic!” Ah, my friend, grant that your life may be the mill-round of the mill-horse; you turn a shaft that reaches through the wall into eternity, and the humblest life in this house sets in motion revolving wheels that shall at last grind out for God’s garner the precious grain, or else the worthless chaff of a wasted existence. So again I say, life is the porch of eternity, the only one we shall ever have; and you are to decide now whether it shall be the uplift from strength to strength, from glory to glory, or the plunge downward and still downward and deeper downward to darkness and eternal death.